Barcelona have reportedly reignited their interest in Atletico Madrid star Antoine Griezmann. Spanish newspaper Marca claims the Champions League quarter-finalists are plotting a fresh move as they close in on yet another La Liga title. 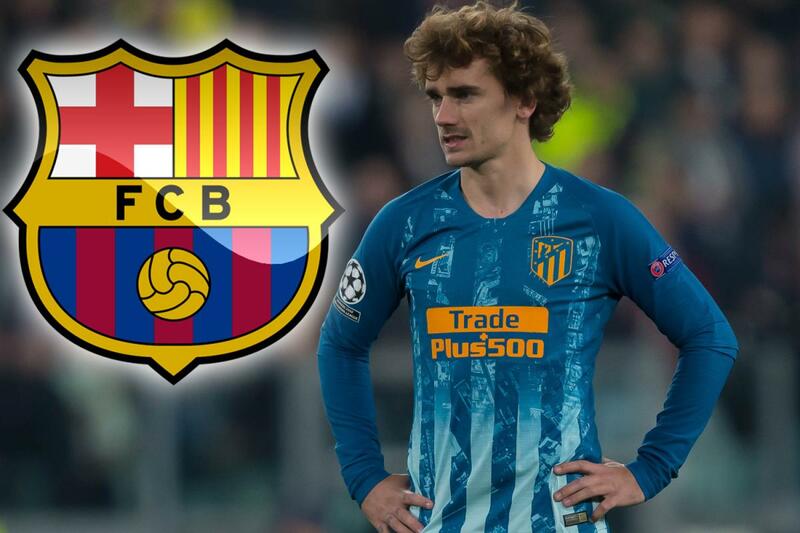 Barcelona have been long-term admirers of Griezmann and were hopeful of striking a deal before the Frenchman penned a new Atletico Madrid contract until 2023 last summer. However, Diego Simeone’s men look set to finish the season empty-handed, while Barca are still in the running for the treble. And they could now finally complete a stunning deal for Griezmann to maintain their status as Spain’s top dogs. It’s said the World Cup winner’s release clause will plummet to £100million this summer. And that will give Barca the impetus to make an offer to Atleti. The Catalans already have a host of attacking talent on their books. But it’s reckoned Philippe Coutinho could be set to return to the Premier League. And Griezmann would be an ideal candidate to replace the Brazilian on the left of Barca’s front three.